Bullying is not ok . 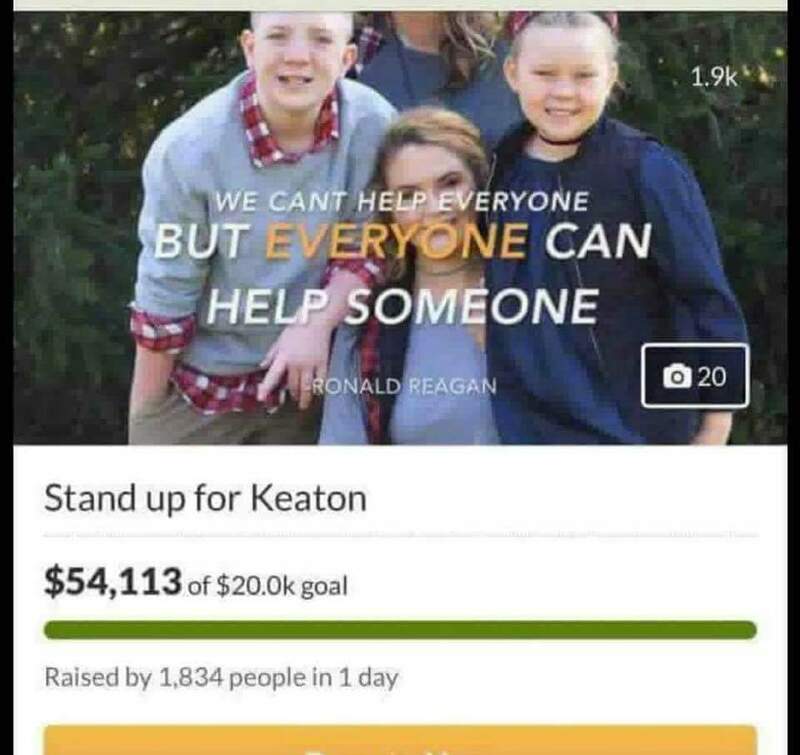 So like millions of others I have seen and read Keaton Jones’ story online . It started off on Twitter and then I saw it all over social media . I felt bad for the kid . Having been bullied for many years in school myself and finding the video so relatable . I cried with the boy and really felt for him and his family . Sadly , it was all a ploy to raise money for his mother . 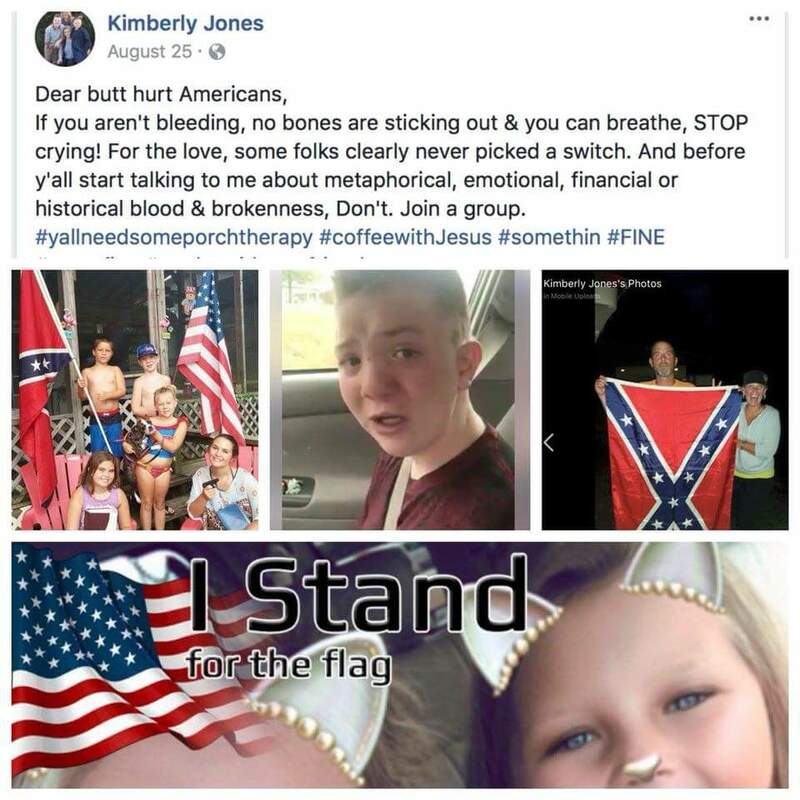 Apparently, she is very racist and all she is interested in is money and not her son’s welfare . She used her son . That is not ok . If anything to me she sounds like a bully . She used innocent people, including famous people . Those we look up to and respect, people children look up to ! E.g. Captain America and The Hulk ! Some of the kindest people I have followed online who genuinely wanted to help her son . Along with a massive list of other celebrities . She used them to raise money for herself . 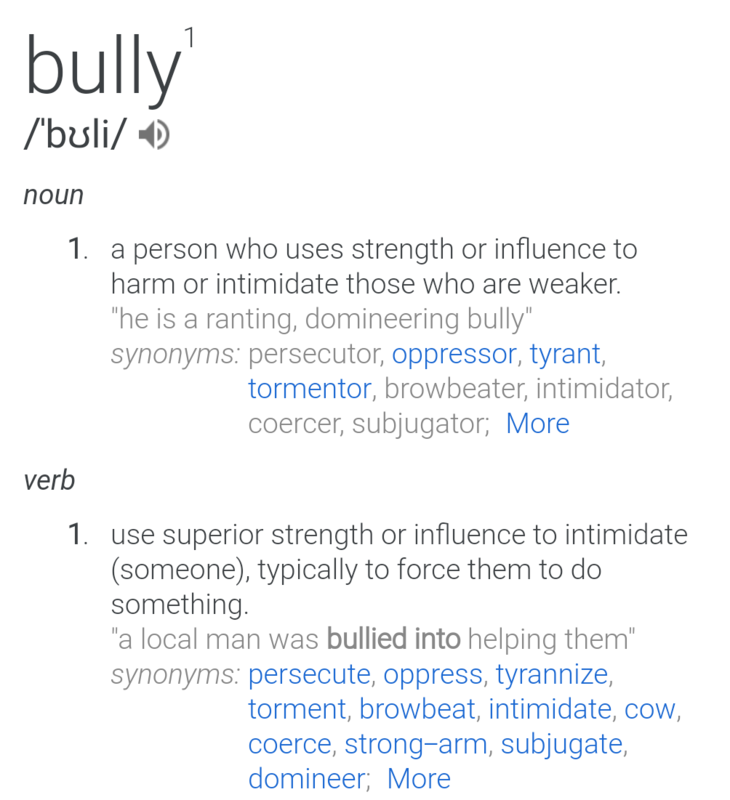 I thought I would add that last image in so people would understand a bit more of what a bully is . They come in all shapes and sizes . And sadly age doesn’t matter . Now I’m going to get a bit personal because this all really got to me and for legit reasons . I’m not doing this to get attention , I am doing this to show the truth of what can happen when bullying happens in someone’s life . I know many have had it worse than me and are still having it worse than me . I respect that and in no way am I making out my life is the worst ever . I am just going to say about my experience and what it is still doing to me . And maybe , people will understand a bit better, how much bullying does impact someone’s life as a whole . As a child, I was extremely quite. I wouldn’t say boo to a fly let alone anything else. Teachers would tell my parents how lovely I was and polite. How I would get involved in sing-a-longs and always help someone who didn’t know what to do in certain activities. I would go out of my way to help anyone. I wasn’t talkative like the rest though. I’d only speak when needed and always enjoyed playing one on one and not in a group. I was shy. This, I feel made me an easy target. Although it shouldn’t matter, it did. I enjoyed school until I was around 6 years old. I went everyday and the only thing I would moan about was getting up early to go in. But there was never any other problem. Until a few new boys started. They singled me out. And that’s where a heap load of trouble started. It started with name calling. Which mentally got to me. I started believing them, thinking I did something wrong. It became a slippery slope. The bullying started to get physical about a year later. Hair pulling at first, because I had a lot of curly hair. Then slapping, tripping me up and eventually punching. Teachers really tried but it never worked. No matter what they did it just made it worse. When I was around 8, I was taken to hospital with pains in my collarbone. It was oesteomalitis. Liquid arthritis in a rare place, my collarbone. I was in for weeks in pain. (This wasn’t caused by bullying, but I’ll get to that part now). It was agony. I had an operation but the liquid had moved to another part of my body. They found traces but nothing else in the bone, so they couldn’t remove it. I was warned it could come back anywhere in my body and I was to report all aches and pains just to be safe. After weeks in hospital I was told to take it easy and not to do sports or anything that would cause my collarbone to ache, as it was hollow and fragile. As usual, everyone found out. Including the bullies. This was yet another opportunity to single me out. And yes, as you can guess, they singled out that area and hurt me. Eventually, I healed. I caught a break for a few months from the bullies. Then the October that year , my Mamgu (Gran) passed away. We were extremely close . This completely broke me and to be honest, I’ve never gotten over it. I took a lot of time off school. I did try going back for a week but I couldn’t cope. Constant floods of tears when anyone mentioned anything I related with her. Especially flowers . (She was a gardener, she helped me control my anxiety through learning how to care for flowers) . It took me a long time to be able to face people. But I had to in the end, and once again, the bullies used that. They were so cruel. After that, I couldn’t cope. I refused to leave the house. We had child services calling out because they just thought I was a naughty child. As I stated, I was quiet, I didn’t even tell my parents half of what happened. They knew name calling was happening but nothing more. I hid my feelings well. This went on for years. I’d go to school some days just to shut people up. But most of the time I’d lock myself away. Claiming I was sick. I even went to the doctors on a weekly basis because my mother didn’t know what was wrong. Eventually, my GP clicked. She diagnosed me with anxiety and depression and said she thinks it all started around aged 6, when the bullying started. But of course, schools didn’t understand back then. So the preassure was still on. Now everyone feels sorry for the victim but no one thinks about the parents and the family around them. My family went through hell. There wasn’t any support for them. They were diagnosed with depression. The difference was, they were on medications that took the edge off. I was too young. Not that I like pills of any sort. But I needed help and so did my family. They were threatened with court. For me skipping so much school. They had me at home in fits of tears and anger because I just couldn’t talk about things. They had no one to turn to for help. They were just as lost as I was. Eventually, I went to secondary school . My best friend went to a different one. I had to go where my brothers went. I hated it. The bullying got a lot worse and the school wasn’t interested. It got to a point that I was pushed down stairs and locked in lifts. It was more physical. I was getting mental abuse too. Being fat shamed and told I should kill myself because I was worthless. Needless to say, self harming started. I hated my life. I hated myself. What was the point in living when the world was cold and cruel ? My parents eventually found out. It’s kind of hard hiding self harm and constant hatred for yourself. Especially at 11 years old. They contacted the school. Had numerous meetings. Only to be told . And I quote. “It’s all in her head, she’s young and attentionseeking” . My parents were told this by the headmaster of a secondary school . A fully grown adult . Eventually they got counsellors involved. I had 3 in the space of a year . All working with me . All said I had school phobia and anxiety and depression . But yet again, nothing was put in place by the school . Come the second year of secondary school I was spiralling. My parents decided to change schools. I was put with my best friend. I was happy and continued to be for about 6 months. But that soon changed when the bullies got involved. They found out about my past, saw me as an easy target . It went on for years with name calling . But I was ok . I was doing better as it wasn’t physical . I was still missing school but not as much . Until the fighting started . I was 14 . I got my first boyfriend, he went to the school opposite. I was happy and the bullies didn’t like it. They got jealous. At first they just started stirring but my boyfriend knew better and ignored it. Then they got physical with me and my best friend. I could take it myself but when I saw them hurt my best friend I lost it. I found out I had one hell of a temper and I was quite strong. I also found out that violence doesn’t solve anything. I got into more and more fights. I got detention. And the bullying never stopped. I started missing school a lot. My boyfriend left me. I spiralled again. It kept happening until GCSE’S. Where I went from being a top student. Always getting A’s despite missing so much school. To failing my exams. I got 2 F’s and 2 U’s . I spiralled. Again. Although I loved the fact I never had to go to school again . I failed something I knew I was good at. All because of these bullies and the schools not helping me. I was let down. I let myself down. I let my family down. I took a year out to try and find myself . I worked in my local food store and I loved it at first. I kept myself to myself. Went in early and on time . Worked hard and came home. However, even at 16/17 bullies were around. One came out of the woodwork and again I spiralled. I left my job. I then decided to start collage . I was 18 that December . I did performing arts. I loved acting. It’s all I ever wanted to do. I don’t know if it was the right choice though. Some students enjoyed the drama and causing trouble. The teachers loved them and there wasn’t anything you could say against them. I became close to one tutor . He was amazing . He understood me. He became like a big brother. I worked hard thanks to him and he made me believe in myself again . Life wasn’t perfect but it was getting better. I left performing arts after the first year. I finished with the highest grade. I just had enough. As much as I loved acting and it was the career I wanted to choose. I went onto do theatre lighting and sound technology . The tutor being the one I was close to . Life picked up . It was good . He showed me that I should believe in myself . I knew what I was doing . I was a good student. I worked hard. Again though, life came to a halt when I was diagnosed with Ulcerative Colitis. At first we didn’t know what it was. I was just extremely ill all the time. I couldn’t eat or drink . My lecturer did all he could and kept me on the course working from home on paper work . He checked in daily with me and offered my family support. Once I was diagnosed and started treatment I was back in college . It was great . I had to take it easy at first so I was on the desks and drawing up lighting plans . I helped with set design and costume . It was fantastic . I started dating . Wrong move . It was a guy on the course. Of course , he wasn’t really interested and just wanted gossip . Which stupid me gave as I’m too open for my own good. He then broke up with me and started telling everyone my business . People started bullying again . I was an adult and they still wouldn’t stop . I then took some time off as I was getting aches and pains in my spine. When I did performing arts I slipped in the dance studio and hurt my back . It turns out I have 3 broken discs but at this point , we didn’t know . So I went to work in many shops . I couldn’t seem to hold a job down. I developed a panic disorder. Employers don’t seem to understand what that means. So I’d have to leave so I could have breaks in between jobs . Eventually I went to university . Biggest mistake I made . I was around 25 . The oldest on my course . I did theatre lighting and design . The lighting tutor hated me because he hated my old tutor . The course as a whole I had already done in college . The group’s I had to work in weren’t pulling their weight and making me do all the work . Then when something went wrong they would blame me . I was told I was dyslexic and dyspraxic. Which made sense . But that made me an easy target for those who would get angry and throw their toys out of the pram . I was on the course with a good friend of mine . He would give me a lift and work with me daily . But that didn’t change the way I felt . I became very ill with aches and pains and no one knew why . People would call me lazy in uni when I couldn’t lift something . My friend always helped and didn’t mind doing it for me but the comments from others really got to me . They used to make fun all the time . Sarcastic comments . All that childish crap . It really got me though and I started to spiral slowly . In the end it got too much so I quit . I left and had to get a job . The job I was in was retail . It was money . Not my dream job , but money none the less . I worked 46 + hour weeks and I worked hard for 3 solid months. I even broke a bone on the side of my foot from a staff night out . I ploughed through the best I could . Until one day, I was serving an elderly couple, they were lovely . Nothing was wrong. But I remember collapsing and hitting my head on the concrete floor . I was knocked out for a few seconds and when I came around I was nauseous . So I went to the toilet where I was ill. I was sent home . It turns out my body went into fight or flight . It chose flight and shut down . I was too much of a danger to myself to go back to work . I lived off my parents for a year until I was registered disabled . And trust me , it’s not easy . People seem to think it’s so easy to be disabled. I look ok so I must be fine . It’s hard . I’m now 29 . I have no job . I have a lot of debt . I’m exhausted daily and I’m always fighting myself . My dream went out the window years ago . I don’t have much . And all of this stems from being bullied . It has destroyed my life . But despite that , I still smile . I’m still here fighting . I’m always here for anyone who needs me and I will continue to be . Because despite the crap I have been through and am still going through , I won’t let bullies win . I’m 29 and I still have to put up with bullying . Just a matter of weeks ago 2 so called friends were name calling and spreading rumours about me . I cut them out . But I would be lying if I said it was easy . Because it’s not . It still gets to me . It still makes me feel like a bad person, although I know I haven’t done anything wrong . This is the after effect of bullying . This is what it starts . It doesn’t matter when it starts , as a kid , teen , adult . Bullying is not ok . It does destroy lives and it does hurt . It may seem funny to some . But it hurts others and it drains you of everything you have . 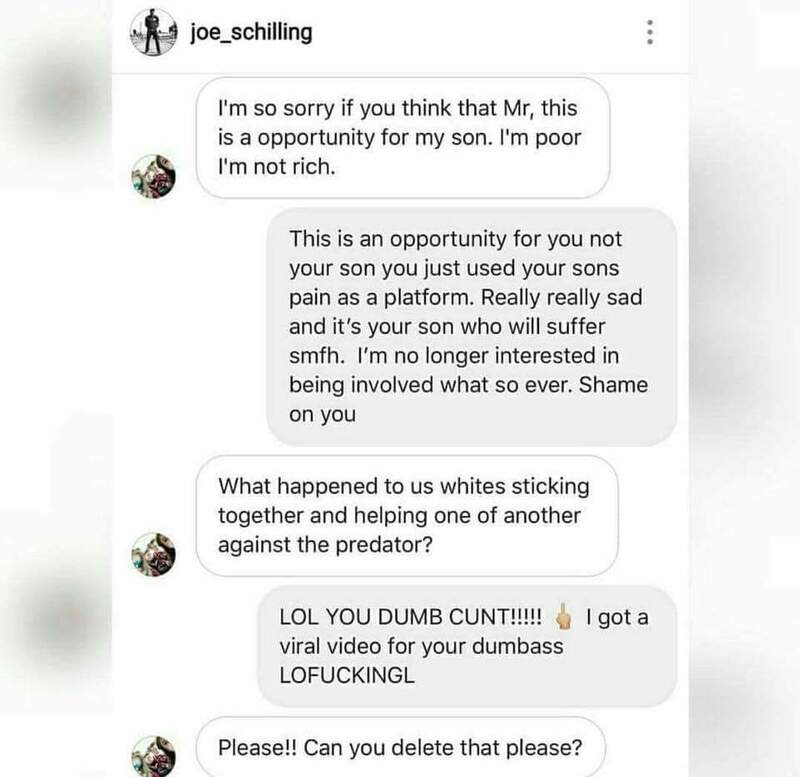 This woman who used her son for money . Used his pain to get what she wants . She is a bully and this is going to have a knock on effect . In my eyes , it’s child abuse and something needs to be done . Bullying is no laughing matter . It needs to stop . People need to stand up and talk about it . They need to call the bullies out and something needs to be done . No one deserves to be bullied . No one ! Apologies , these last few months I’ve been MIA . A lot has happened . Starting off I’ve developed a food allergy again . I’m now extremely allergic to milk . Which is a bit of a pain as most foods contain milk . I’ve been veggie since I was 13 , so I’ve now had to go vegan . Not that I have anything against the vegan diet , it’s just difficult when you don’t know much about it and have no choice but to take it up . I was however a fake vegan , as I wasn’t fussy if food had egg in it . Until the last few weeks where I now also have an allergy to egg ! There is a plus side of this diet . As I mentioned in previous blogs , I was on all natural medications . I didn’t take the steroids my gastro gave me and researched natural alternatives instead . I was on cumin and CBD oil . I saw my gastro a few weeks ago and he can’t believe it . I’m in remission !! Although he was concerned about the “flare ups” . Until I mentioned my milk allergy . My gp has been refusing to send me for allergy tests and just said to eliminate the foods . However , as it’s so severe it can become life threatening , so my gastro has now demanded an allergy test be done . I’m still waiting for that . I’ve also lost 1 stone 4lbs in 3 months , without even trying to . This hasn’t happened in 8 years !! On top of it all , earlier this month I lost my Uncle . My Aunty found him dead in bed . He was fit and healthy as far as we all knew . Turns out all the arteries to the heart were clogged and he basically walked upstairs after having breakfast , sat down on the bed and died instantly . It’s been hell in all honesty . We are all taking it in turns to stay with my Aunty as she’s not well herself . We are also all still , very much in shock . There is something that made us all a little happier , if you can be happy at all in this situation . Before he passed , he had the grandchildren down from London for a week . It was a trial to see if they would stay with them for a while so they could have little holidays in Wales . The grandchildren adored my Aunty and Uncle . Then the weekend before he passed , he had my Nieces and Nephew over for a party for my Aunty , she had recently turned 60 but they couldn’t make her original party so they held one just for them . Myself and family went too . It was fab ! My Uncle made sure they were full on good food and then spoiled them rotten , as he always did with children , cake and Ice cream with the chocolate mint wafers . YUM ! And not forgetting the crisps and pop ! My Uncle was a sucker when it came to kids . They seemed to bring out the child in him 🙂 He did the same for me when I was a kid too . So basically , we figured out , he had his goodbyes . Everything had fallen into place . It’s something we can take some comfort in . His funeral was a lovely send off . The church was full . People had so much to say about him , all good . My Aunty wanted to celebrate his life and that’s exactly what we did . The song she chose to play him out in the church was from Dirty Dancing . The Time Of My Life . Because my Uncle loved to dance ! I’ll never forget him grabbing me at my engagement party and making me dance . I can’t dance at all so he put me on his feet , like you do with a child , and made me dance with him for a while . I only got up to go to the bar , and I ended up dancing at my party . But that’s the kind of man he was . He was a loving , fun , gentle man . You could always rely on him and nothing was ever too big . He’s helped me out so many times over the years , I can’t thank him enough for everything he has done . I’ve had a few tears , but not enough . I feel like I really need to cry and scream and blame someone . But I can’t . I think it’s shock . Even writing this , I’m crying a bit but no where near as much as I need to . I just cannot believe I won’t be seeing him in this life again . It’s heart breaking . It’s safe to say , this world has lost a fantastic man , and life will never be the same again . I truly hate September . Last year I lost 2 close friends and now this year my Uncle . These last 7 years have been hell for my family , and I’m sick and tired of life always taking from us . Next year , I’m 30 . I’m not sitting back waiting for something else to happen , I’m grabbing 2018 by the balls and I’m living . Because one this I have learnt the hard way is , life is cruel and it’s selfish . It takes and takes and will drain you of everything if you let it . It’s taken enough from me now , it’s my turn to take something back . If you suffer with chronic illness , you’ll know that owning an alarm clock is a waste of money . You’ll hear it going off , but it doesn’t necessarily mean you’ll wake up . You’ll also be very familiar with the snide remarks / “jokes” people make . “I wish I had time to take a nap” . “Everyone gets tired , you just have to push through it” . Having chronic illnesses almost always means you don’t have a good , if any , sleep pattern . The usual 8 hours sleep everyone gets seems like heaven and you always hope that one day , you will get that glorious , golden 8 hours , of uninterrupted sleep for yourself . The thing is , no one truly understands it until they go through it themselves . I didn’t . I’m 28 and 11 years ago I was your ‘normal’ , every day person who could get up and go . Party all night and work all day . Get a few hours sleep and I was raring to go again ! I never understood how people could be so slow or always sleeping or never go out . I loved life and nothing could hold me back . Then , I had my accident and life spiralled . I then started to understand why people couldn’t do things . Normal everyday life is a chore . For me , I suffer with broken discs in my lower spine , hip and knee problems . (Along with so much more) . So from the minute I get up , I’m struggling . Getting dressed used to take minutes , now it’s 30 minutes or more . Getting up , hurts . Sitting down , hurts . I feel like I’m stuck in a 90 year olds body . The struggle is real – as they say . By the time I get downstairs I’m ready to go back to bed . Making coffee is a chore but it’s so needed . Caffeine is about the only thing my body runs on these days . My normal routine …. I say routine , it’s more than likely that I …. Get up around 11am . Dressed and downstairs by 12pm . I have coffee by 12:15pm and then I sit down . I’ll try and get stuff done but every 15 minutes I need to sit . Come 5:30pm I . Am . Dropping . I normally go for a nap for a minimum of an hour and a half . It takes me between 30 and 45 minutes to settle and drop off . Then I’ll be waking up every 20 – 30 minutes . It takes around 10 minutes for me to drop back off to sleep . So I never get a full rest . This is why I can’t ‘power nap’ . Then after my nap I’m normally awake until 4/5 am . I’ll sleep until 8am , waking every 20 – 30 minutes . Then I’ll be awake for an hour (8-9am) Then I usually nod off again until 11am . Always waking every 20-30 minutes . This is if I’m lucky to get sleep . Some nights , I’m awake all night . It all depends on the pain and if I can lie down etc . And I know I’m not the only one who suffers like this . My father is exactly the same as me . So I know I’m not alone when I say , it really is tough . So to have the usual sly remarks made , it’s no surprise when people get short with you . When you are basically called lazy . Oh how I wish it was true . Physical and mental exhaustion is no joke . Or when you’re told it’s just a bad day . Or you’ll get over it …. Please , show us how ? Teach us how chronic pain can be cured with a flick of a switch . And when people make fun of you . Now this is where people can get really petty . When they see you struggling and just think it’s hilarious and that you’re doing it for attention . I would absolutely love to watch you walk in our shoes for just one day . So please , be kind people . It takes zero effort to just be nice to someone . To try and understand it . I mean , you wouldn’t like someone to make a joke about your bad day would you ? So why would you do it to others ? Think before you judge . Chronic illness is tough . I have tried a lot of medication to help me , none of which have . It can take years to find the right thing , so far for me it’s taken 10 years , and I’m still trying . I’m now looking into natural pain relief and foods that help . What speaking out has done for me. Many people are terrified to speak out about suffering from mental illness . I was one of these. For many years my life was tough and 90% of it was down to me. I wasn’t willing to accept my illness. I hid it the best that I could when I was out of the house. People just saw me as a timid child, but my home life was hell. Constant arguing and fighting over stupid things. I couldn’t control my anger. I wasn’t angry at my family, I was angry at myself, but I would blame them as it was easier. Hiding anxiety is tough and when you lash out, you normally lash out at those closest to you. My parents just thought I was a naughty child, but there was so much more to it, I just couldn’t tell them. Eventually, I went to see a doctor when I was 16. I was diagnosed with depression at aged 6 but they put it down to school and being a “school phobic”. I was a phobic of most things, anything that included people and strangers. I spoke to the doctor and they advised me that I should take medication. They gave me leaflets and told me to speak about how I was feeling and to keep diaries to help me speak about it. I did the diary part, but I never spoke out about it. I refused medication for as long as I could. I did speak to my parents about my anxieties but very vaguely. I went through a lot in my short life, counselling being a main thing in my life. I hated it. Strangers wanting to know everything about me and asking me why I was feeling this way etc etc. It’s not my cup of tea. I gave in to medications at the age of 24. It made me spiral backwards and I was at an all time low. The doctors kept changing them often. I was getting worse and worse. I managed, after a year and a half, to pull myself off them . Eventually, when I was 25. I started CBT. I spoke to my family and loved ones about my illness. I opened up completely. It lifted a massive weight. CBT only lasts 8 weeks. One session , one hour a week, but it made a HUGE difference to me. Alun helped me focus on the here and now. He made me realise I wasn’t weird or an outcast. I accepted my illness and I managed to help others accept me to. He helped me make this blog page which in turn has helped a few other people cope with their mental illness. I have also made new friends through this and I don’t feel lost anymore. Made others understand that I’m not cutting them out, my anxieties restrict me. See my friends more now. Taken a lot of weight off my shoulders. Got people off my back about working again. I’ve spoken about all of my physical illnesses, as speaking out about my mental illness has given me the confidence to be open. Made me feel more “normal”. I have accepted myself and the hand I have been dealt. As terrifying as it is to think about, it really isn’t anything like that. Thinking about it is the worst part. Once you know you’re ready to accept yourself, speaking is part of the healing process. I’m no where near “cured”, but I am getting there. I am slowly taking steps in the right direction, and as long as this road may be, I know I can get through it. Day by day, little by little. I highly recommend speaking out to everyone. The best people to start with are the ones closest to you. Eg. Mother, Father, Brother, Sister, etc. You’ll be surprised by how many people understand. This year I decided to do what I wanted to do . Last year , as you know, I went through hell and back with family and loved ones . We lost a lot and we’re left a mess . I totally gave up . But this year I’ve decided to be selfish . I never put myself first and have always felt guilty for when I used to treat myself and not my friends or family . I deserve to be happy too !! Last year proved that life is way too short to just sit back and hope and wish . 🌹 To eat clean and healthy . 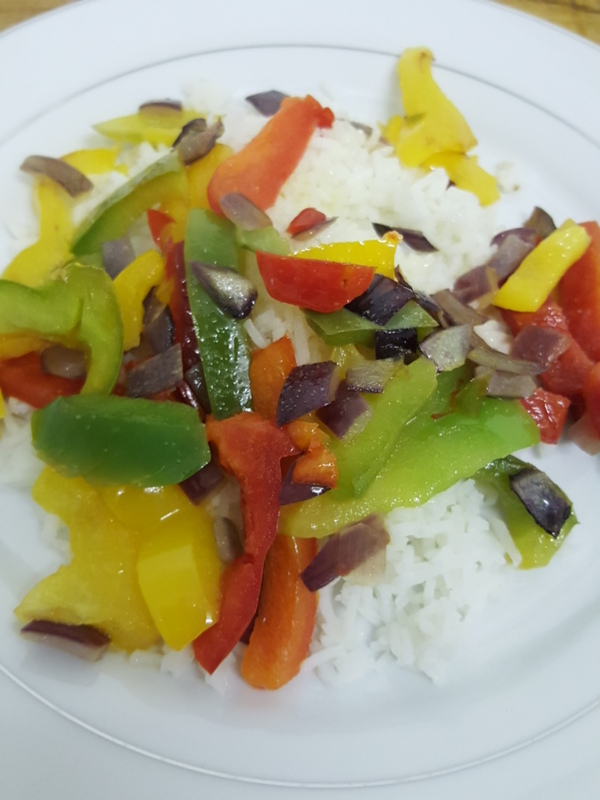 Myself and my partner want to lose weight . Low fat and barely any carbs . 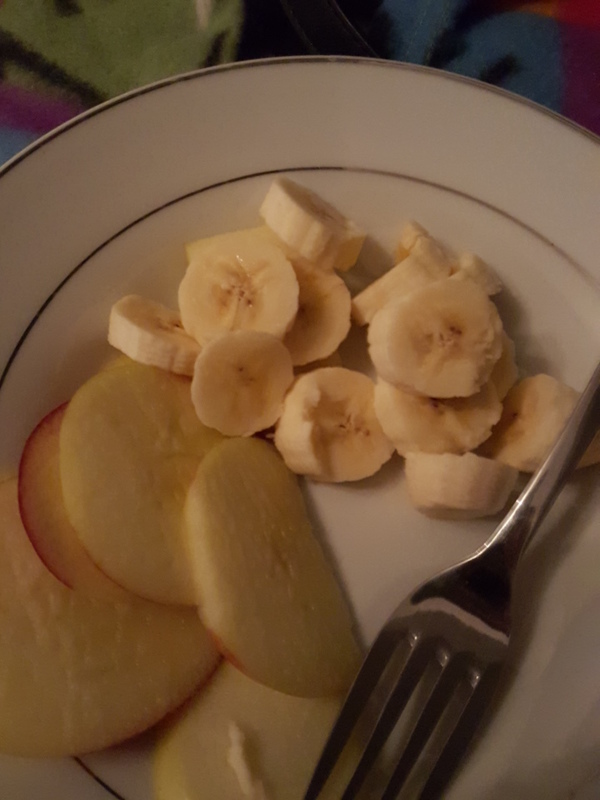 No sweets but we do have fruit and hot chocolate to help with the cravings . 🌹 Get my eyebrows tattooed . 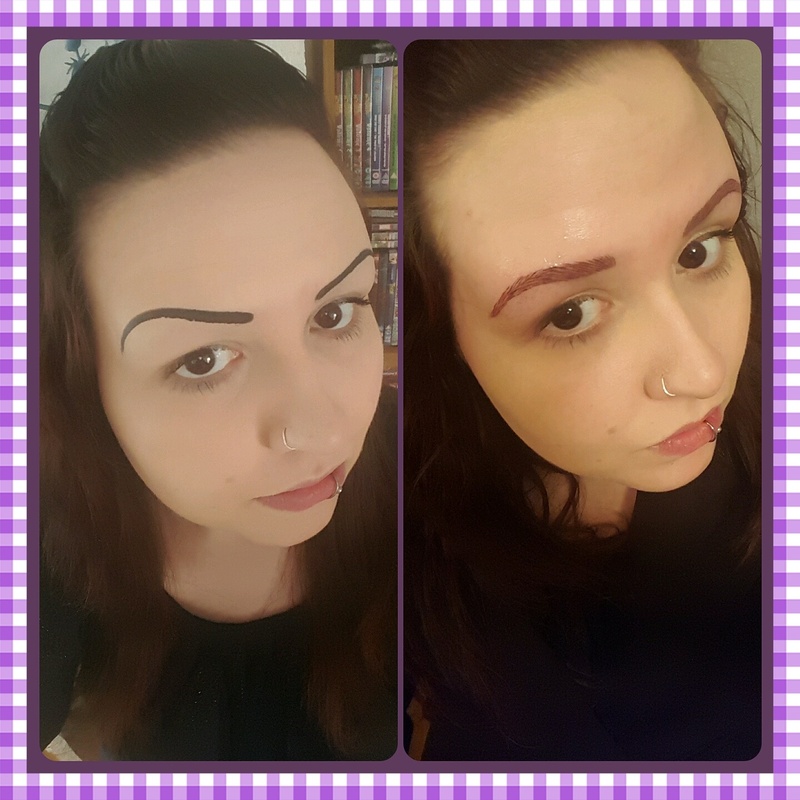 I have shaved / plucked my eyebrows since age 18 . 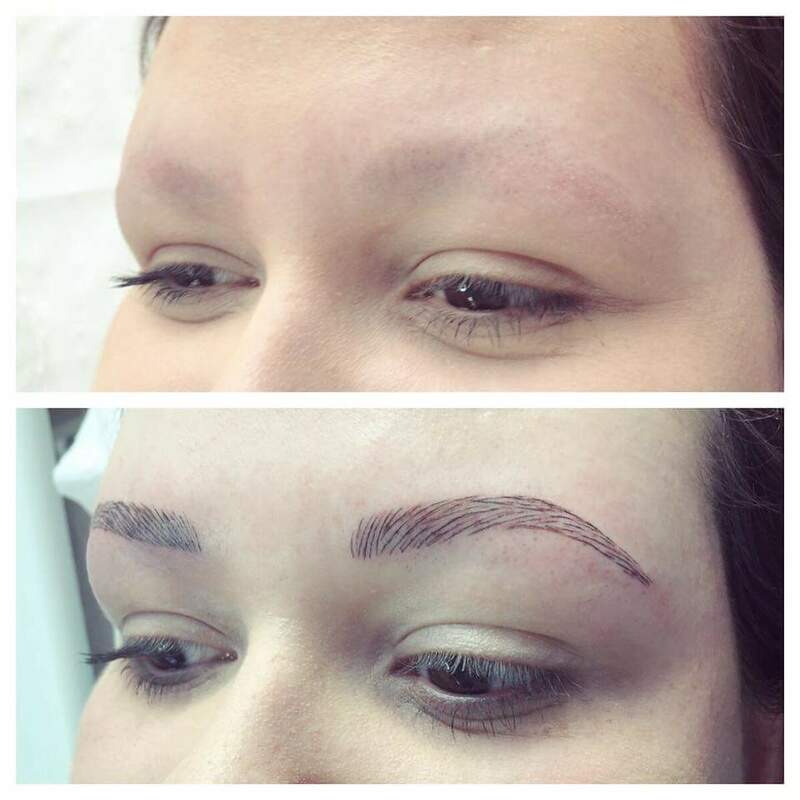 So I have zero as I hate my natural brows . So I decided to get them tattooed on . 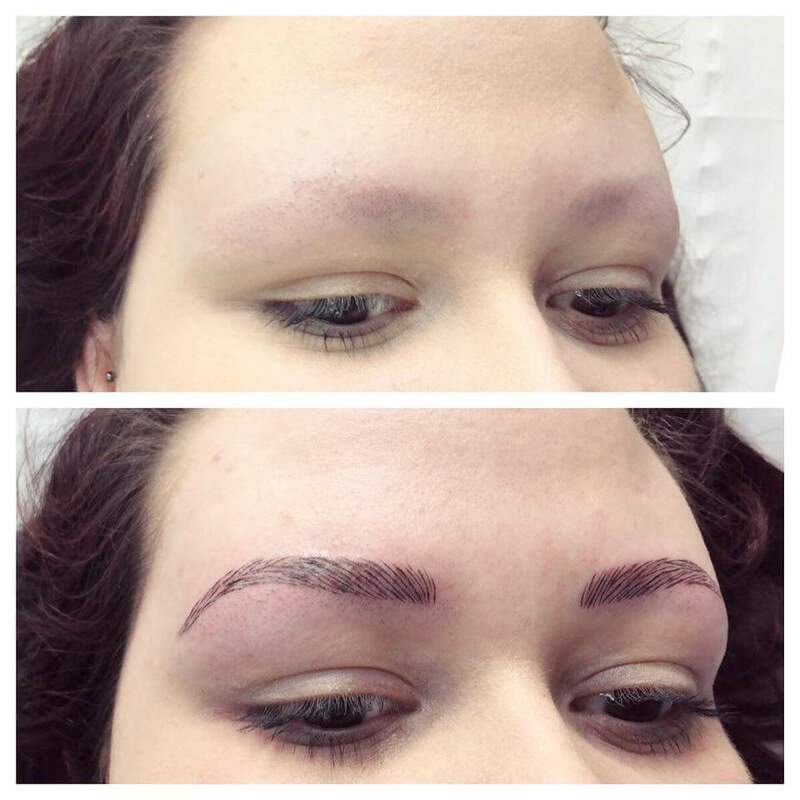 Semi permanent make up . Best decision I ever made !! 🌹 Get more of my tattoo finished. I started my sleeve tattoo last year . But as I had a lot going on , I ended up spending all of my savings on trying to save my dogs life (I regret nothing) . So this year I have booked in for more work . 🌹 Seeing friends more . I rarely ever get out . Simple little things , but they’re making all the difference . I feel more confident and happy about myself !! I realise through my blogs I have taken everyone through my mental illness with me but yet haven’t let any of you into my life . There is more to me than just illness . I’m 27 years young and I live in a small town in South West Wales, UK. My parents are happily married with over 40 years together . I have 2 older brothers . I have had 2 labradors over the past 20 years . Tess was my first , a golden lab. And Ellie my second, a black lab. I have had 2 rabbits, Sooty and Flopsey. And a budgie named Ben . I used to work , from the age of 16 until I was 22 . I studied Performing Arts for a year. Then went on to study Theatre Lighting for 3 years . Films are a passion of mine . As I don’t work , I stay at home a lot . I very very rarely leave the house . So I have a lot of hobbies , along side blogging , to keep me entertained . Although, I don’t get to do these daily . I have 2 wonderful Nieces who I love spending time with, and my little cousin who lives with them . I basically live a very simple life . I have a wonderful Fiancé who has supported me for over 6 years and honestly , I don’t know where I would be without him . I don’t talk a lot about myself because I’m not that interesting haha . I am more than my illnesses and I just wanted to point that out . My whole point to blogging is to help end the stigma against Mental health . To do this people also need to know there are 2 sides to everyone. The person & the illness . We don’t choose this life, Mental health is not a choice . I wish it was . Everyone talks about having panic attacks . You’ve either seen someone have one , heard of someone having one or you have experienced one yourself . But what is a panic attack ? It’s a rush of intense psychological and physical symptoms. They can be very frightening and happen out of the blue, for no known reason . They usually last between five and twenty minutes and although they’re horrible, they aren’t dangerous . These are caused by your body going into “fight or flight” mode . 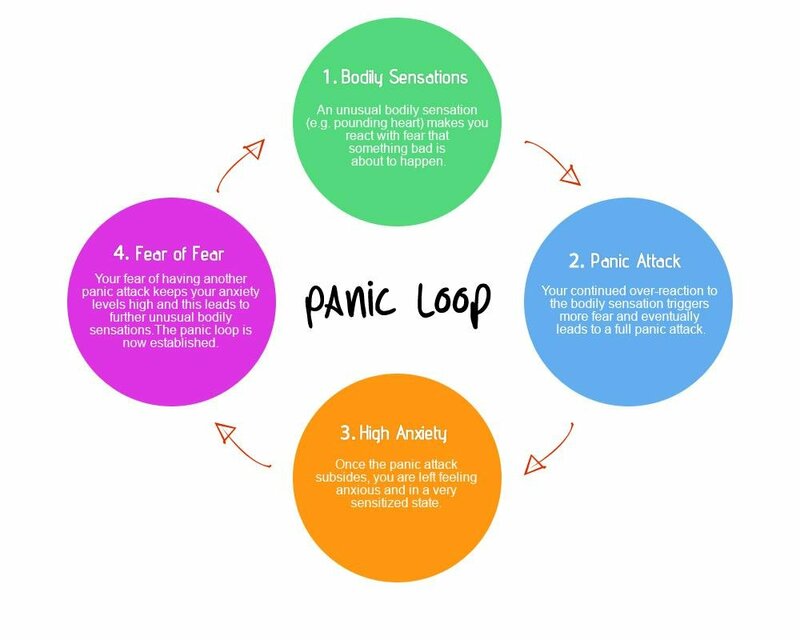 Your body tends to think that you’re under threat , hense the sense of panic . As your body tries to take in more oxygen your breathing gets faster. Your body releases hormones, like adrenaline, which causes your heart to beat faster and your muscles to tense up. How can you help relieve these symptoms ? There are a few different things you can try . To help slow down your breathing and heart rate . You could try these simple steps . Breathe in deeply through your nose. Breathe out slowly through your mouth. Focus your thinking on the word “calm”. Keep calm and focus on your breathing . As you slowly start to feel your breathing getting back to normal, you can go to feel a little tired . This is normal though. It means your carbon dioxide levels in your blood , have returned to normal. Should you see a doctor about panic attacks ? Although panic attacks aren’t dangerous themselves . It is always a good idea to seek medical advice . 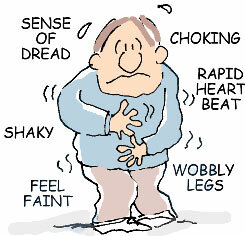 Panic attacks can be brought on due to an underlining issue . Your panic attack continues after following these breathing techniques for 20 minutes. You still feel unwell after your breathing returns to normal. You still have a rapid or irregular heartbeat or chest pains after your panic attack. 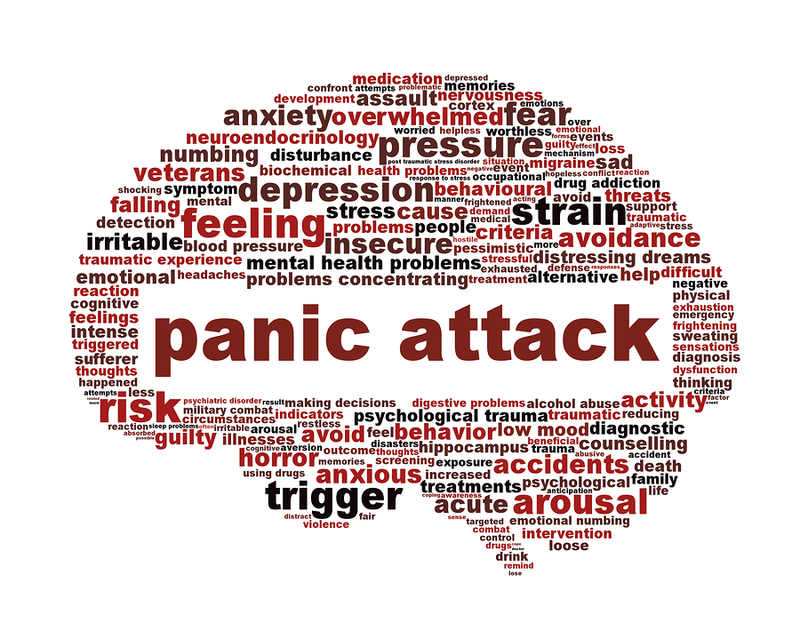 Can panic attacks be avoided ? Some people find that relaxation techniques do help prevent panic attacks . Eg. 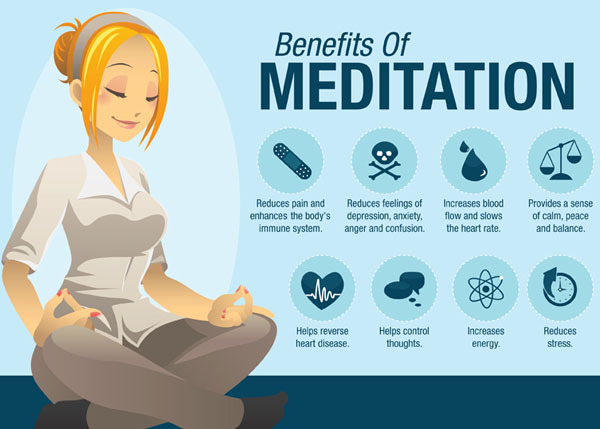 Meditation , deep breathing , muscle stretches . Eating regularly can help as it stabilises your blood sugars . Avoiding alcohol, caffeine and smoking can also help .